Check him out! My very first lino-cut experiment. 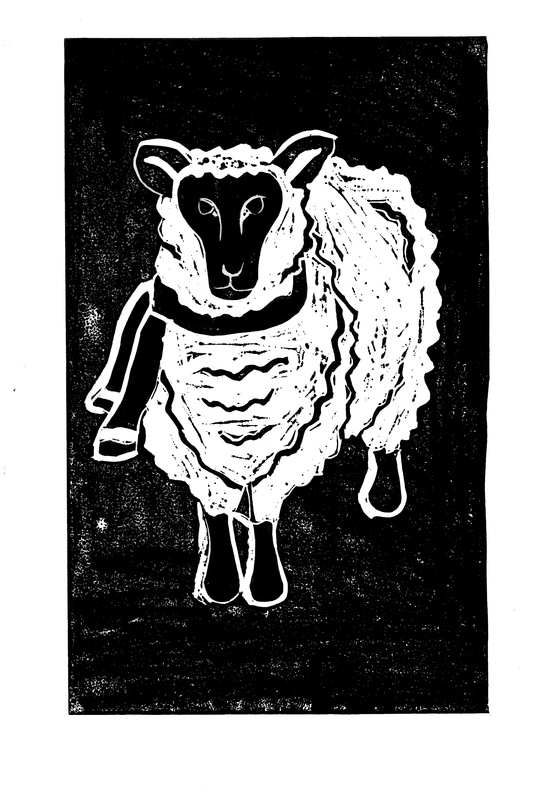 Sheep design all my own. He’s going to be a gift for my knitter Mom. Now I need to find some really rockin paper to print him on… or way to frame him.